Patsy Lee Matherly Emerson, 70, died Tuesday, July 30, 2013. Finch and Finch Funeral and Cremation Service, Altavista is in charge of arrangements. 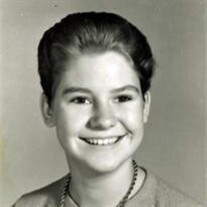 The family of Patsy Lee Matherly Emerson created this Life Tributes page to make it easy to share your memories. Send flowers to the Emerson's family.